For banks this means freeing up your tellers’ time so they can focus more of their efforts on high-value activities. 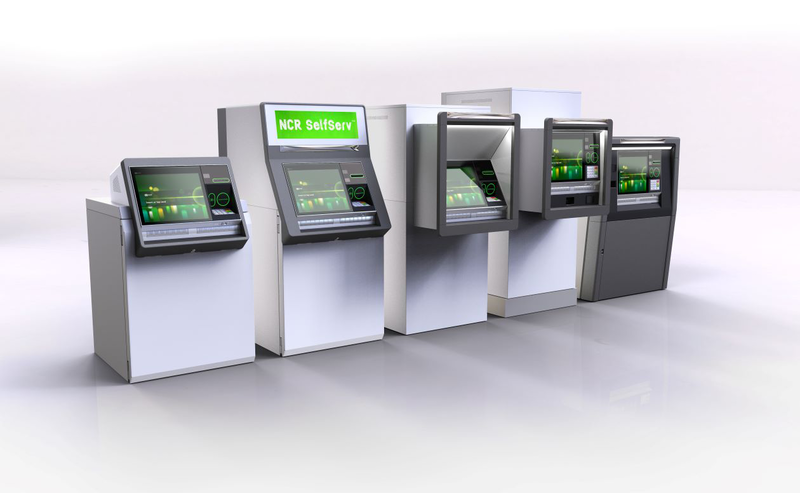 That’s why NCR designed the SelfServ 80 Series of ATMs to deliver the experiences your tech-savvy customers expect, and that can transform your financial institution into a future-proof business. When integrated with NCR Interactive Teller Assisted Service Software, the SelfServ 88 ITM is a powerhouse, delivering both live teller services and ATM transactions on demand. The SelfServ 84 is premium exterior through-the-wall multifunction ATM from NCR. It offers your customers a wide range of transactions like mixed cash and check deposit and bill payment. QSI will make sure your ATM or ITM receives the appropriate updates (security patches, maintenance updates, and hotfixes) per manufacturer recommendations. 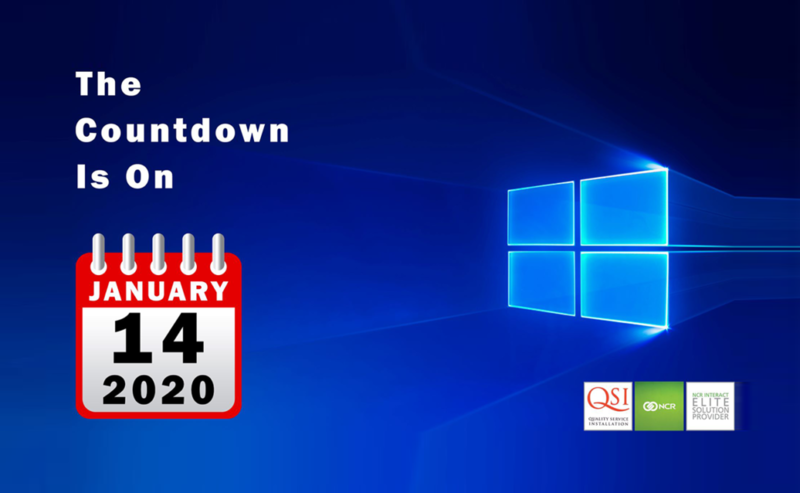 Microsoft ends support for Windows 7 on January 14, 2020. We can help you make the most economical decision for your institution. Contact us for more information. QSI offers NCR Assisted Service through Interactive Banker and Interactive Teller. Improve profitability, reduce cost, extend hours, expand services, and give flexibility to your customers. Electronic security protects your people, your customers, and your assets. Trust QSI to recommend the best solutions for your alarm, video, access, and monitoring needs. QSI Customer Connect provides a real-time customer portal that gives our clients the ability to create and track service calls online, update information and see their entire account with a click of a button. QSI stocks most commonly used consumables and supplies for the products we sell. We make it easy to reorder by phone or email. 01.Does QSI service anything besides NCR ATMs? Yes – QSI services all ATMs commonly sold in U.S. financial institutions, including Diebold & Hyosung. We also maintain TCRs, electronic security (alarm, access, video), and all traditional bank equipment. Ask us about our service exclusives! 02.Do you have a leasing or outsourcing program? Yes – QSI has several ways to solve the problem of replacing or upgrading equipment to meet budgets and time frames. These include leasing and outsourcing. Contact us for more information. 03.Do you offer patch management? 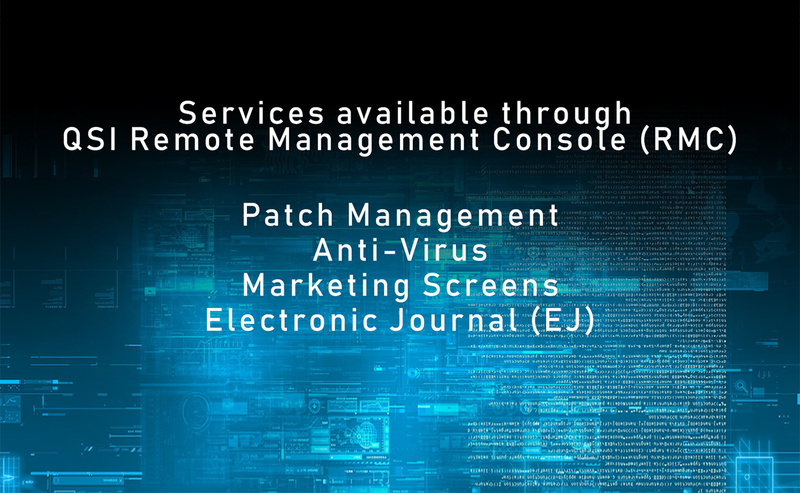 Yes – QSI offers remote managed services through our RMC department. RMC is a cost-effective way to maintain software compliance. We also offer Symantec Endpoint Management, an anti-virus. These services are recommended by auditors and security experts, and they meet compliance requirements. 04.What about supplies? Does QSI sell paper and consumables? Yes – we stock most frequently requested supplies and can ship them out very quickly for you, and we have a simple reorder process. Contact us for more information. 05.How hard is it to place a service call? Will I have to wait on hold for a long time? QSI has several ways to place service calls. We accept calls, emails, or direct requests through our Customer Connect portal. You can also review open calls, history, or arrange to be notified by email of updates. We do our best to make it easy and quick! 06.Do you have alarm monitoring? Yes – QSI offers alarm monitoring through Rapid Response. Peerless service, Stringent, ongoing training, advanced technology, and multi-redundant infrastructure and operations at a great price make this an easy choice.